Clement E. A. Richardson : Umpqua Investments Inc. Specializing in the development and implementation of long-term financial plans and strategies, Clement guides high net-worth individuals, corporate clients and non-profits through the intricacies of wealth management, corporate retirement plans and endowments. A financial advisor, prior to joining Umpqua Investments in 2006, Clement was an advisor with the Global Private Client Group at Merrill Lynch. He started his career at Paine Webber Inc. in Los Angeles, California in 2001, which later became UBS Financial Services Inc.
Clement graduated from the University of Maryland Baltimore County with a Bachelor of Arts in Interdisciplinary Studies (Biology/Philosophy) in 1994 and received his MBA from the University of Baltimore in 2000. Clement maintains FINRA license 7 & 66, as well as insurance licenses. He is active in the community and volunteers for several non-profit organizations including the Business Leaders United, a group of Bay Area CEOs. 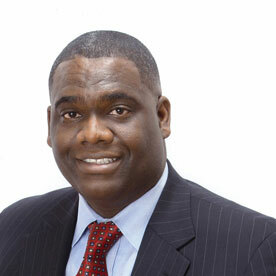 Clement was born in Antigua, West Indies and grew up in Maryland, where his family still resides. Clement is an avid hiker and swimmer. When not catching up on the latest business best-seller, he is often planning his next hiking trip to the beautiful countryside of Northern California.